Needless to say, France is a dream destination for most foodies in the world! In particular Alsace, with its true amalgam of french and german flavors, is one of France’s most interesting areas, with so many traditional dishes… not to mention wines, beers and eau de vie! This region, located on France eastern border, is also a great family destination, with many attractions for kids and close proximity to Europe’s best theme park. I could spend hours writing about Alsace! I fell in love with this area and its people, its douceur de vivre, its compelling history -Alsace switched between French and German control five times since 1681- and of course with its cuisine!! In this post we will take a tour to discover Alsace’s traditional gastronomy… Get prepared for a mouth-watering ride! 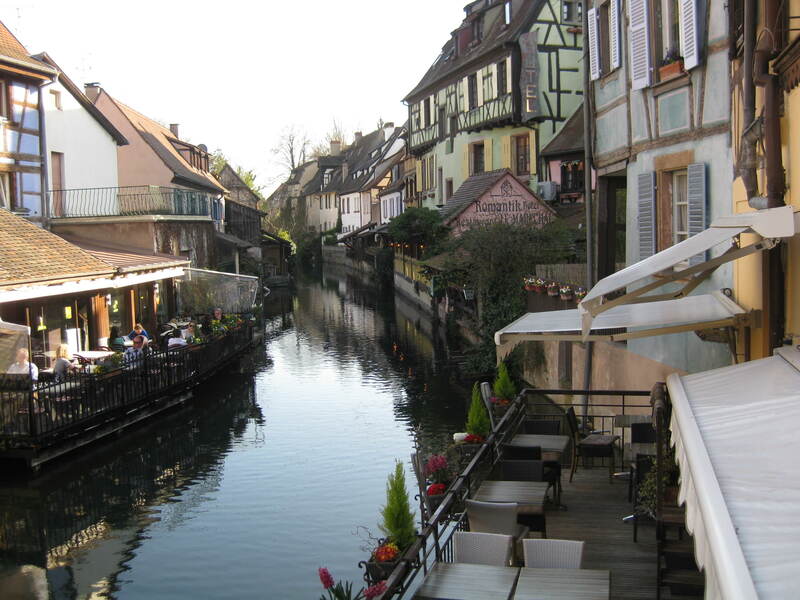 The region of Alsace, with its strong Germanic influence, managed to keep intact its culinary tradition. You will find plenty of winstub –Alsace’s cozy wine taverns-, charming brasseries and bistros with the typical checked tablecloths, serving local dishes mainly based on pork -prepared in thousands of different ways- cabbage, cheese and potatoes. In here, about 40% of people still speak Alsatian, the local dialect; this means that reading a menu in Alsace may be somewhat complicated! Even if you speak French, most dishes names are written in Alsatian. Moreover, certain bistros don’t have English menus…So keep in mind the following dishes, that you must definitely try! It’s something like the pizza of Alsace. The classical recipe includes a thin, crusty dough, topped with cream, onions and lardons (or chopped bacon), which is then baked in a wood-fire oven. There are many variations to this “Nature” recipe, the most common being “Munster” (with munster cheese), and “Forestière” (with mushrooms). The quintessential Alsatian dish. 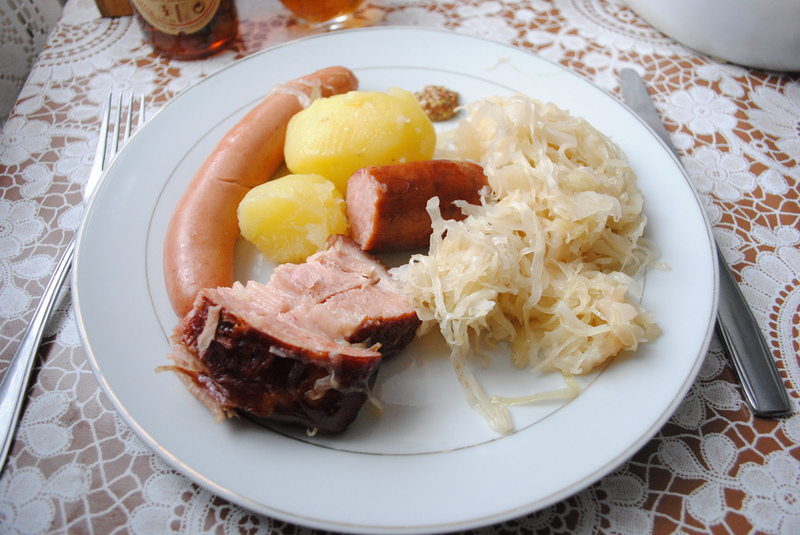 It’s white cabbage grated and fermented, which is then cooked in white wine with potatoes, and served with ham, smoked pork shoulder, bacon and sausages… Try it at one of Strasbourg’s atmospheric winstub, paired with Riesling wine or a local beer (see below). 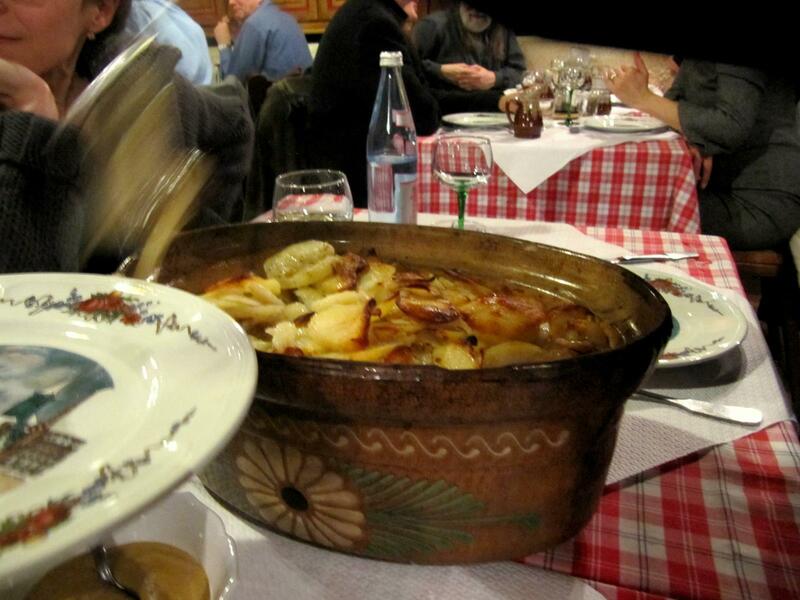 A dish consisting of baked sliced potatoes layers, onions, and different meats cut into pieces (pork loin, lamb shoulder, beef brisket), previously marinated in Riesling wine, all cooked slowly in a traditional ceramic casserole. Baeckeofe is usually served with a green salad and a dry white wine such as Pinot Gris. The equivalent of English fish and chips. 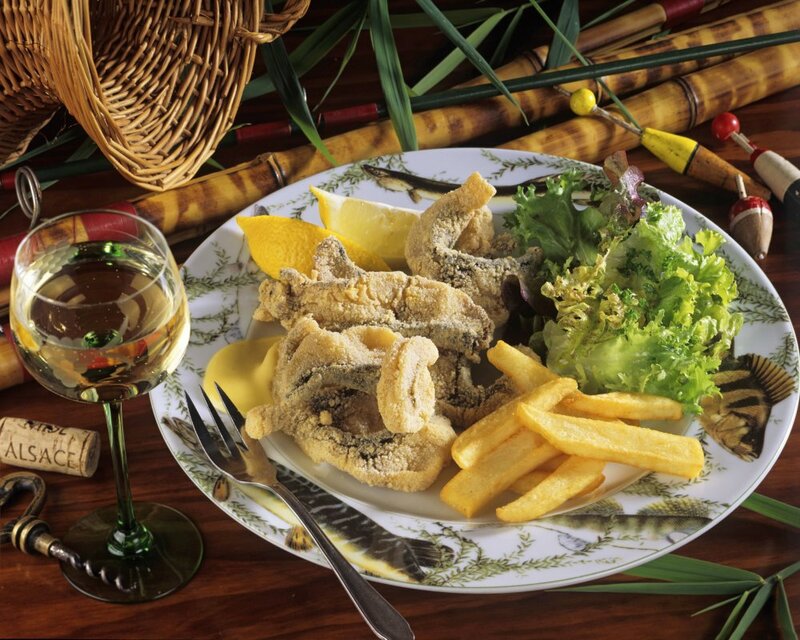 Dish of the southern part of Alsace, the Sundgau area, where you can follow “La Route de la Carpe Frite” (The fried carp route) with around 30 restaurants offering this traditional dish. The fried carpe route has been awarded the title of “Remarkable Gourmet Site” by the French National Council of Culinary Arts. 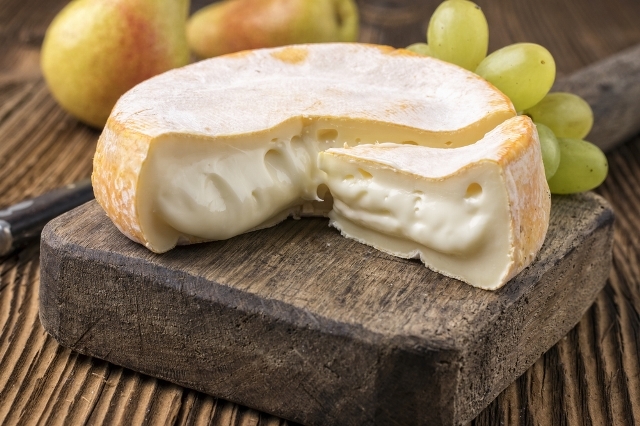 Almost each French region has its own cheese; Alsace’s is this delicious, strong tasting, soft cheese made from cow’s milk (not to be confused with American Muenster cheese). This -somewhat controversial- gourmet treat is made of liver of a duck or goose that has been specially fattened. 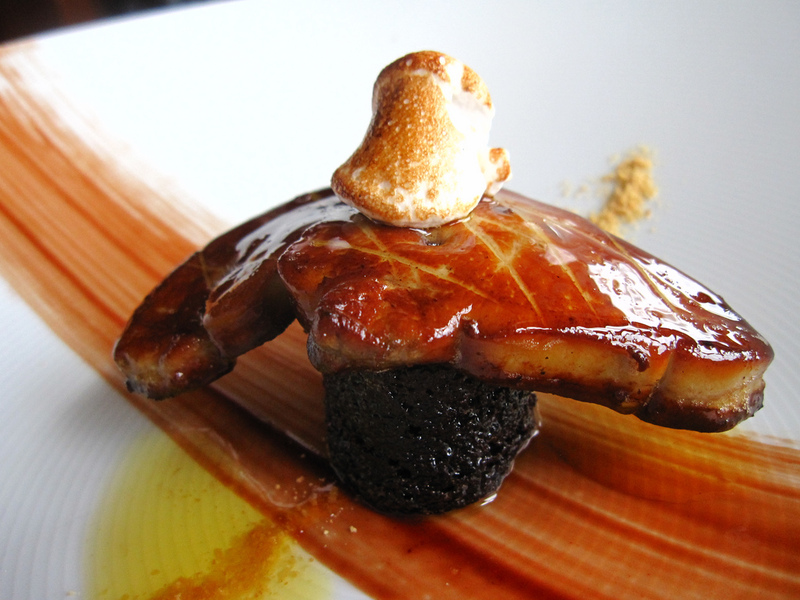 During the 17th century, Alsace becomes the center of foie gras production in France, a tradition that still continues until nowadays. Presskopf: pork brawn in jelly. A cake with a distinctive grooved, high-ring shape. It consists of a soft yeast dough with raisins, almonds and cherry brandy. It can also be savory, with bacon and walnuts. This specialty has long been a celebratory cake, prepared for special occasions: Christmas, weddings, births, village festivals, etc. Nowadays it is mostly served with breakfast. The french version of a cheesecake. A light, not-too-sweet tart made with fromage blanc, eggs and lemon. This recipe is prepared with a pie crust (instead of cookie crumb used for cheesecake). 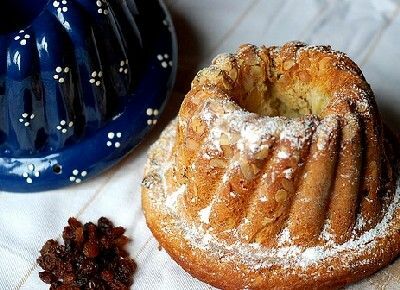 It is a cake traditionally made around Christmas, which contains figs, prunes, dates, almonds, apples and candied fruit. Nougat, pain d’épices (gingerbread), confiture d’églantines (wild rose jam) are other must-try delicacies in Alsace. Most likely, you have already tried macarons, those little colorful, meringue-based confections, so trendy the latest years. In fact, macarons are not Alsatian, they come from the neighbour region of Lorraine. Nevertheless, it would be a shame to leave Alsace without tasting those of Patisserie Gilg...they are just sublime! Alsace is not only a foodie’s delight: wine and beer lovers won’t leave disappointed… Alsace has an important wine production, and it is France’s main beer-producing region. Schnapps (or eau-de-vie) is also traditionally made here, although its production is declining due to the reduced consumption of traditional, strong alcoholic beverages. Sylvaner: light and delicate, it pairs perfectly with shellfish (oysters, scallops, clams), fish and charcuterie; you can also drink it as aperitif. Pinot Blanc: ideal to accompany starters or main courses. It pairs well with fish, white meats, poultry, egg-based dishes such as omelettes or quiches, and soft cheeses. Riesling: considered one of the best white grape varieties in the world. The best choice to accompany traditional Alsatian dishes such as Choucroute and pork-based dishes; it’s also great with fish, shellfish, poultry, white meats and goat cheese. Muscat: less sweet and dryer that the Muscats of the south of France, often served as an aperitif. Alsace Muscat is an excellent pairing for asparagus. Pinot Gris (formerly known as Tokay Pinot Gris): Alsace’s white wine that best accompanies dishes intended for red wines: game, veal, pork and poultry, particularly when served with rich sauces. It is the perfect match to Baeckeoffe, delicious as well with sweet and sour flavor combinations. Gewurtzraminer: rich, aromatic, golden yellow, this superb wine pairs beautifully with foie gras, strong cheeses such as Munster, and spicy dishes. Pinot Noir: the only red grape variety authorized in Alsace. Rosé Pinot Noir is ideal for rustic buffets or picnics featuring charcuterie, grilled meats and salads; Red Pinot Noir, more complex and balanced, pairs red meats, game, and certain cheeses. An excellent match for desserts based on red fruits or berries, or not-so-sweet chocolate desserts. Another must-try is Crémant d’Alsace: this AOC sparking wine -a lighter version of Champagne- is delicate, refined and fresh, and you can pair it with… just anything! For more detailed information on Alsace wines, read here. 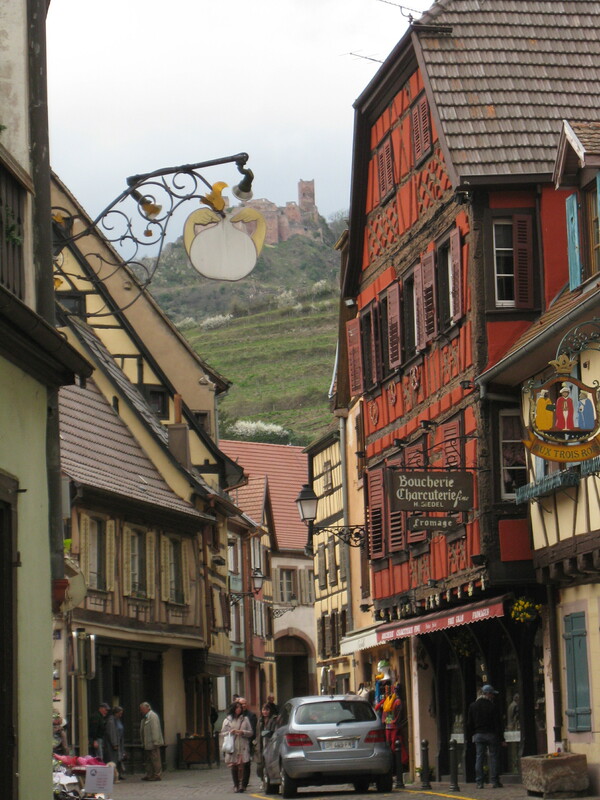 Alsace has been producing beer since the Middle Age; this long-dating heritage is still evident in many Alsatian villages. During the ninth century, monks became expert brewers and started trading their production; monastic breweries were then progressively replaced by independent companies. By 1803 there were about 250 breweries operating in Strasbourg, but over the years many small companies merged, and nowadays Alsace counts with only five major breweries: Licorne (Karlsbräu), Kronenbourg, l’Espérance (Heineken International, which also owns Fischer), Meteor and Schutzenberger. There are several micro-breweries in the area which produce small amounts of beer in a more artisanal way. The beers of Alsace are traditionally blonde, however, the recent years there has been increased production of amber (Fischer reserve Amber), flavored beers (Desperados or K by Kronenbourg), white (White Meteor and 1664 White) and brown (Black Unicorn). Every August a major beer festival is organized in Schiltigheim, the city of brewers. Since 2014, the Union of Brewers in Alsace also organizes a cultural event around beer, “Au Gré des Bières” in Strasbourg.